Chicken Kale Soup is an easy, hearty, and comforting soup recipe that’s perfect for chilly days and light lunches! With bold lemon and ginger flavors, this easy to make homemade chicken soup is anything but ordinary! 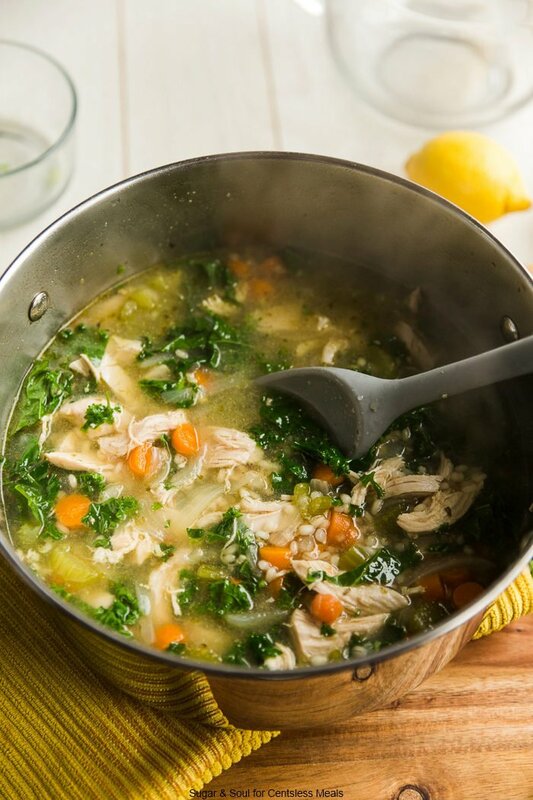 You will love how easy this low-calorie chicken kale soup is to make! Prepared in one pot and ready in about an hour, this is the perfect soup for busy families! With polar vortexes and tons of snow, it’s really starting to feel like winter out there and that means most of us would love to hunker down with a cuddly blanket, movies, our fuzzy friends and a big pot of warm and comforting soup simmering on the stove. 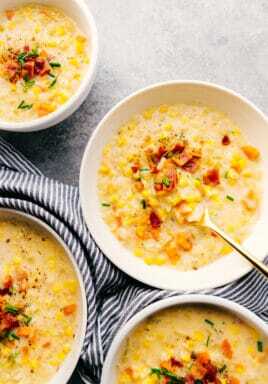 Homemade soups, like Slow Cooker Chicken Wild Rice Soup or Ham and Potato Soup, are so belly warming and taste especially good when the temperature drops! This low-calorie kale soup is so so tasty and I love the mix of curly kale, tender carrots, shredded chicken and hearty barley. Lemon, ginger and garlic add lively flavor to every bowl and the best part is it only takes about an hour to prep and cook this yummy kale soup recipe! Which Kale Is Best For Soup? Did you know there are a bunch of different kinds of kale? I’m guessing your local grocer only sells 2 or 3 kinds and probably any of them can be used in this soup recipe without issue, but I recommend using either Curly Kale (most common) or Lacinato Kale (also called Tuscan Kale). This chicken kale soup recipe is really straightforward and easy to make – no crazy kitchen skills required! In a large pot, saute the onion, garlic, and celery. Add seasonings, grated ginger and carrots. Pour in the chicken broth, bring it to a boil, then add raw chicken breasts and simmer till cooked. Remove chicken, shred and return to pot. Stir in barley and simmer for another 20 minutes. Add the kale and lemon juice. Simmer for 10 minutes then serve! Is Kale Soup Good For You? Not every kale soup is that same and though many are probably lean and healthy, if you throw a block of cream cheese in there, the calorie count is going to go up considerably. This homemade chicken soup with kale has less than 200 calories per bowl – 200!!! Crazy, right? 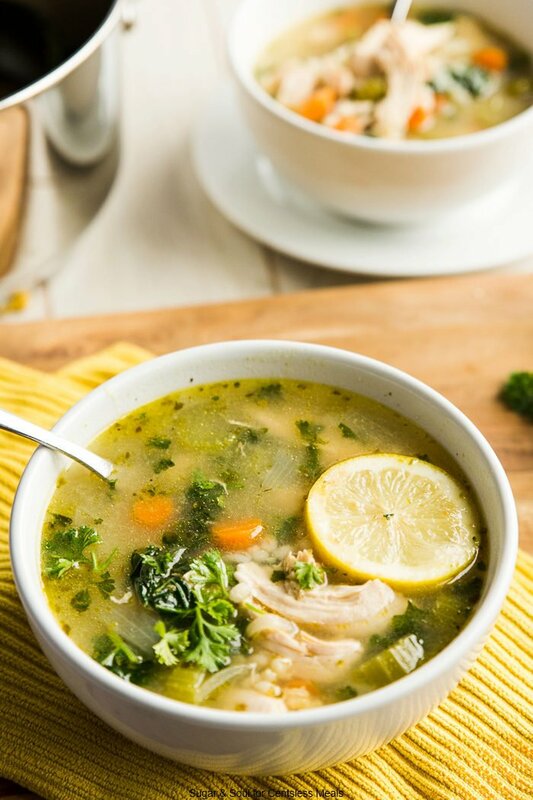 So yes, I would say this chicken kale soup recipe is good for you, plus it has flu-busting ingredients like lemon and ginger as an added benefit during the cold months! And since your main course was so low-cal, I highly recommend splurging a little on dessert! How about whipping up some Cool Whip Cookies! Slow Cooker Leek Soup – so easy! Slow Cooker Chicken Soup – a classic! 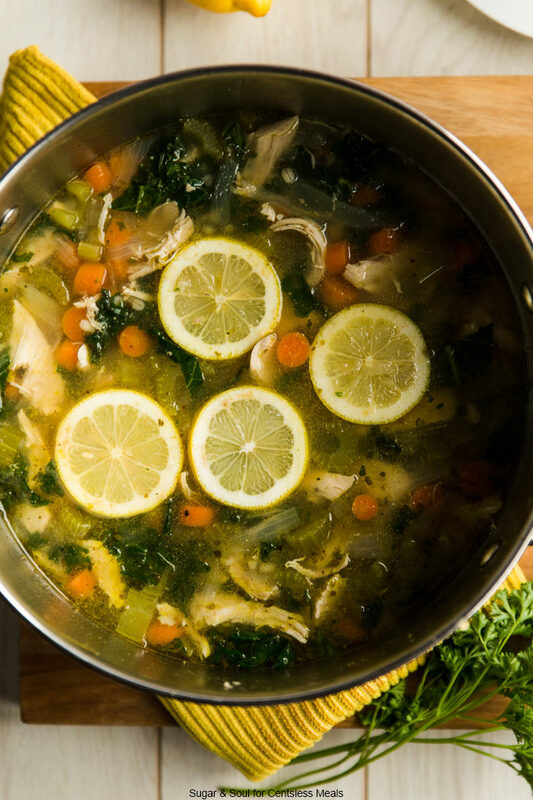 Chicken Kale Soup has bold lemon and ginger flavors, making this hearty and comforting soup anything but ordinary! In a large dutch oven saute onion, garlic, and celery in olive oil until softened, about 3 minutes. Add in salt, pepper, garlic powder and thyme to sweat, about 1-2 minutes. Add grated ginger and carrots. Saute for 1-2 minutes until flavors are blended and fragrant. Add the chicken broth. Bring to a boil. Lower to a simmer and add raw chicken breasts. Continue to simmer over low heat for 20 minutes, or until chicken is cooked through. 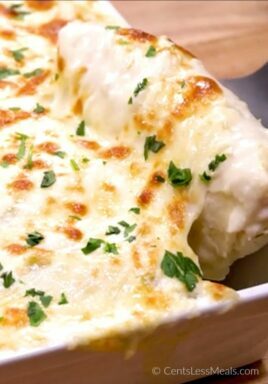 Remove chicken from pot and use two forks to shred the meat. Add back to the pot. Stir in barley and simmer for another 20 minutes or until barley is tender-crisp. Stir in kale and lemon juice and simmer for 10 minutes. 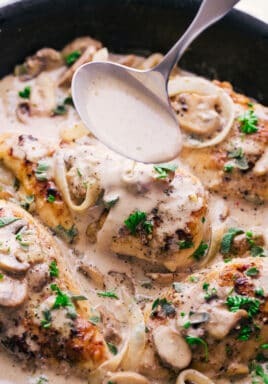 Garnish with lemon wedge and fresh parsley. 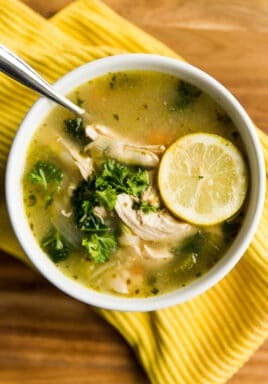 Add more lemon juice as desired If adding lemon wedges, do not let them sit in the pot of soup for long as the rinds will create a bitter taste. Great options for grain variations would be orzo noodles.